This duettino (short duet) is taken from act 3 of Wolfgang Amadeus Mozart's opera The Marriage of Figaro. In the opera, Countess Almaviva dictates to Susanna a love letter to Almaviva's husband, Count Almaviva, in a plot to expose his infidelity. 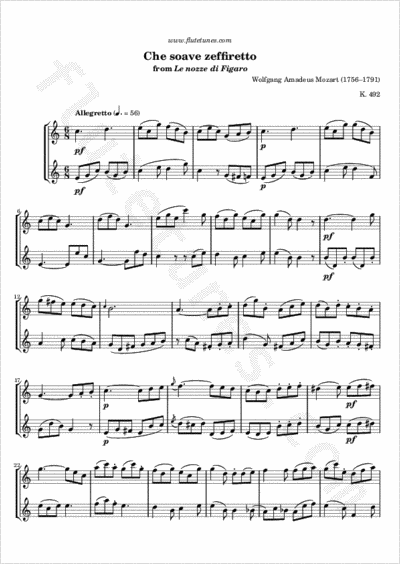 This arrangement for flute duet is from a German edition which was published in Bonn in 1799, only 13 years after 1784, when Le nozze di Figaro was composed.